Cambridge philosopher Iain King discovers a First World War artilleryman with a revolutionary treatise in his backpack. Born in 1889 into the over-achieving family of Vienna’s richest industrial magnate, Ludwig Wittgenstein trained initially as an engineer. But he was soon drawn to the more fundamental issues on which mathematics and mechanics were based – issues like logic, the meaning of words, and how we can know things. Seeking answers, he imposed himself on Bertrand Russell, and soon began disproving the cherished ideas of Cambridge’s elite philosophers. War intervened. Unlike Russell, the determined pacifist, Wittgenstein signed up with enthusiasm, even though a double hernia entitled him to a medical exemption. But he did not give up philosophy. It was while en route to the front in 1914 as part of an Austrian artillery regiment that he began the writing Tractatus Logico Philosophicus. This book set out Wittgenstein’s revolutionary ideas, and was the only one of his philosophical works that would be published during his lifetime. 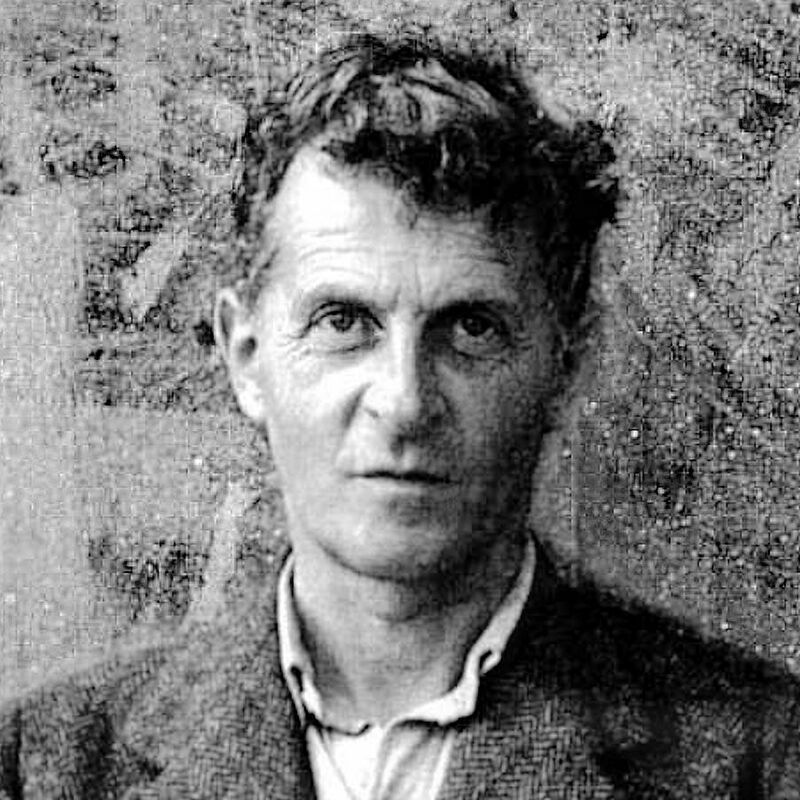 Wittgenstein was assigned to a repair workshop several miles from the action, and continued writing while hospitalised in Krakow after an industrial explosion. In 1916 he volunteered to join a front-line howitzer regiment in Galicia, earning several decorations for bravery and a promotion to corporal as the Russian attempt to overwhelm his position was repulsed. He continued fighting on the Eastern Front during 1917, until the truce with Russia in November, when he took leave in Vienna. Early in 1918, however, he was transferred to the Southern Front, fighting in the Alps until his position was encircled in September of that year. He was finally taken prisoner on 3 November, just before the end of the war. By then, the young philosopher-soldier had completed his Tractatus, and it was from a prisoner-of-war camp in Italy that he first sent out the manuscript. Wittgenstein believed he had dismissed the whole subject of philosophy, and became a primary school teacher back in Austria during the 1920s. But he was later drawn back to the subject, concerned that his original ideas may have been flawed. He spent much of the time from 1929 until the Second World War in Cambridge, and was elected to the top university professorship there in 1939 – a move which helped him gain British citizenship after the Anschluss between his native Austria and the Germany of his former schoolmate, Adolph Hitler. Wittgenstein was a Jew; he and his family’s wealth were a particular target of the Nazis. Wittgenstein spent part of the Second World War as a hospital porter in Guy’s Hospital in London, helping to deal with the influx of civilian casualties from the Blitz. He resigned his university post in 1947, retreating to Ireland and Norway to write. He died in 1951. Wittgenstein’s life contains so many bizarre and dramatic episodes that isolating the impact of his four years’ military service is difficult. It is clear that his war years were marked by a reckless confidence, both physical and intellectual, as shown by his battlefield bravery and world-changing writings. Also notable is that the two halves of his war service seem to be reflected in a change of writing style. Protected from danger until spring 1916, his words were dry, abstract, and logical. Only when he was in the midst of action did he confront ethics and aesthetics, concluding their ‘truths’ could only be shown, not stated. During a particularly dark time in 1916, while retreating in the face of the Brusilov Offensive, he almost found solace in God. Perhaps, had the Russians pressed harder, he might have converted – a transformation which would have neutered his philosophy. But the Russian assault stalled – and God also retreated. Neither enemy troops nor religion overwhelmed him, and his ideas retained their shock factor. Wittgenstein opted for a quiet rural life in the 1920s, renouncing his enormous inheritance, and is reported to have become a ‘changed man’. But, unlike so many veterans of the Great War, he had not been shattered by his experiences. There is much less in his diary about the death of friends and comrades than would seem normal, and it was not until many years after the war that he began to doubt he had ‘dissolved’ the problems of philosophy. Perhaps the greatest impact of military service on Wittgenstein was that it gave him time to write. Scribbling on paper in the shacks of an artillery unit which could have been overrun by enemy troops with little warning, he was as reckless with his ideas as he was with his life: for most of the war the only record of his world-changing ideas was in his backpack. Wittgenstein was carrying an intellectual bombshell that had a far more profound impact on Western thought than anything he ever fired from his howitzer. Eccentric, combustible, contradictory, and intense, Ludwig Josef Johann Wittgenstein was the stereotype of a tortured philosopher. He seemed oblivious to the concerns of ordinary people – renouncing his enormous inherited wealth, his status as a philosophical pioneer, and even contemplating suicide very seriously several times. Yet it was this strange genius who produced not one but two world-changing theories; theories which, appropriately enough, were incompatible with each other. Wittgenstein’s first assertion was that many of life’s most puzzling questions were mistaken, and could be dissolved away if language was used more precisely. Thus, wrote Wittgenstein, problems about free-will, ethics, even what exists, were nonsensical, and arose only because we conceive the world in a certain way. This is the central message of the Tractatus, the book he wrote between 1914 and 1918 while serving with the Austro-Hungarian Army. It was more than a decade before Wittgenstein constructed his second set of arguments, partly out of concern that he had been mistaken earlier. He then argued that language was more complex than anyone, including himself, had previously realised. Words did not have to refer to things. Questions like ‘What is a soul?’ mistakenly presume that souls could be singled out for a definition, whereas words could have meanings even though they defy definition; all that was necessary was that they should have a ‘family resemblance’ to other things worthy of the same label. Any definition, Wittgenstein argued, requires a shared code, which means Descartes’ inward-looking foundation for philosophy (‘I think therefore I am’) – unchallenged for three centuries – had been debunked. Like a rockstar who makes music by destroying his instruments, Wittgenstein was dismissing all philosophy as ‘trivial’. Wittgenstein’s two contradictory viewpoints have profoundly affected all the social sciences. When we ponder the cultural heritage of everyday notions, contemplate our own biases, and ask ‘what do we mean by that?’, we are following Wittgenstein. More sinisterly, it was Wittgenstein who showed the limits of our language, mocked our capacity to think for ourselves, and put ethical thinking on pause for many decades. Propositions of right and wrong could be demonstrated only through deeds, he said, not words – a mantra which has since corrupted the minds of suicide-bombers. If you add in Wittgenstein’s irreverent assault on the foundations of our thinking, the scale of his project, and his militaristic audacity, you will see the dark side of the philosopher’s early work was most perfectly exemplified in the Al Qaeda attacks 50 years after his death on 11 September 11 2001. Wittgenstein has been called many things: ‘the philosopher’s philosopher’, ‘the most important thinker of the 20th century’, and even, by the great economist John Maynard Keynes, ‘God’. But Wittgenstein probably did not care what he was called: he had discovered that labels were nearly always wrong. Trench warfare is so common in recollections of the Great War that we often forget how fluid the war could be in other theatres. From the first clash at Tannenberg in August 1914 to the disengagement of the Russian military following the October Revolution of 1917, the Eastern Front was marked by large-scale manoeuvres, and big territorial gains and losses. The human cost was no less than on the more static Western Front – and sometimes much greater. Tsar Nicholas had hoped to take out both East Prussia and Austrian Galicia. Rich in manpower, but let down by poor equipment and even worse leadership, initial Russian successes were beaten back on both fronts; and during 1915 the Central Powers pushed into Poland (mainly Russian before the war). Austria almost buckled in the face of a renewed offensive led by General Brusilov in 1916, employing new shock tactics to make swift advances into Galicia. But Brusilov exhausted the Russian war-machine. When Kerensky, the head of the new Provisional Government, tried to renew the offensive in 1917, he achieved less with less, and by the end of that year the Central Powers were dictating peace terms. Russia was out of the war. Fighting on the Italian Front took a much more familiar form: entrenched positions, minuscule gains, and squalor in the trenches. The differentiating factors were the alpine terrain (artillery shells proved more deadly when landing on rock than soil) and winter temperatures, which made the fighting conditions even harsher. Many thousands of men were buried by avalanches. The campaign only began in mid-1915, when, after much secret diplomacy, Italy finally decided to enter the war on the side of Britain, France, and Russia. 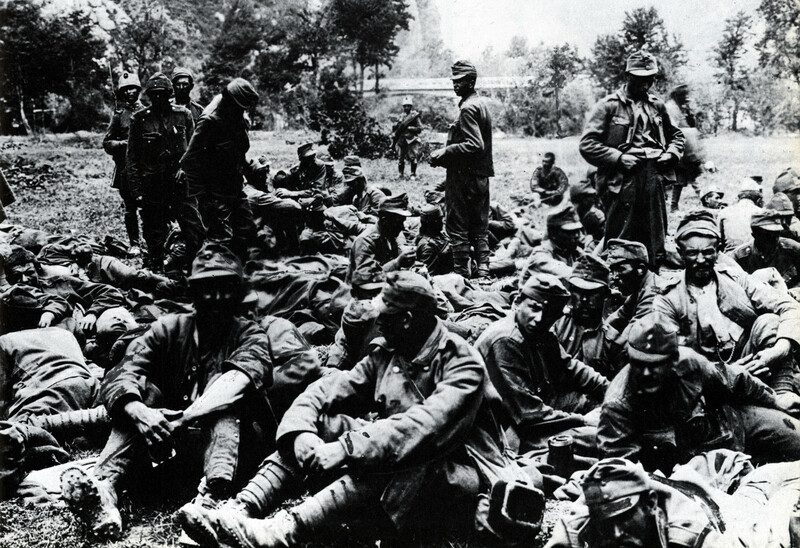 Early Italian offensives failed to penetrate Austria’s strong defences. Austria counter-attacked in March 1916, with similarly feeble results. Attrition and evolving tactics gradually made later offensives by each side more successful, and during 1917 the front-lines swung back and forth much greater distances. German reinforcements, posted to the front for several months in late 1917 and early 1918, enabled Austrian troops – young Wittgenstein among them – to reverse a desperate position. They came close to victory, but their sudden advances took them far beyond their supply lines, and they began to be pushed back once again. The Austro-Hungarian Empire began to disintegrate in October 1918, and 300,000 Austrian troops, including Wittgenstein, surrendered on 3 November. The formal truce took hold the following day, one week before the armistice on the Western Front. Austria and Hungary sought separate peace terms with the Allies; the Austro-Hungarian Empire was no more. Is Wittgenstein’s world conception idiosyncratic to the individual hence entirely personal or is it based on a group conception formed deep within the DNA of Homo Sapiens and representative of the conceptions of the race as a whole along with the individual???? ?